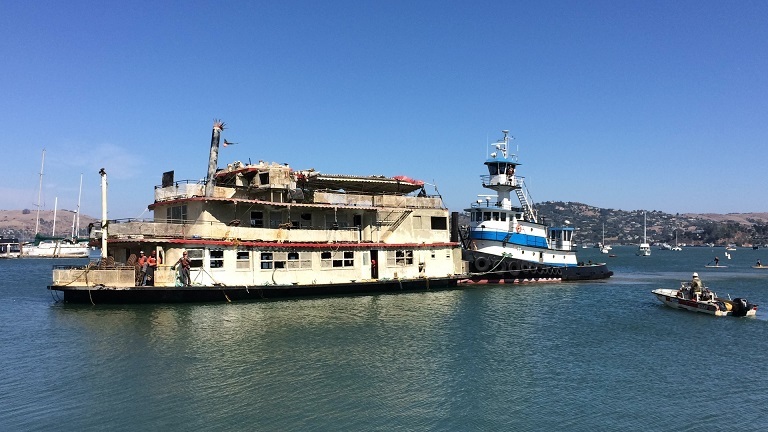 Raising a Riverboat - the Challenges of the Spirit of Sacramento Salvage - Global Diving & Salvage, Inc.
No two salvage operations are alike. The team at Global Diving & Salvage, Inc. knows that the differences are what make every project a challenge. 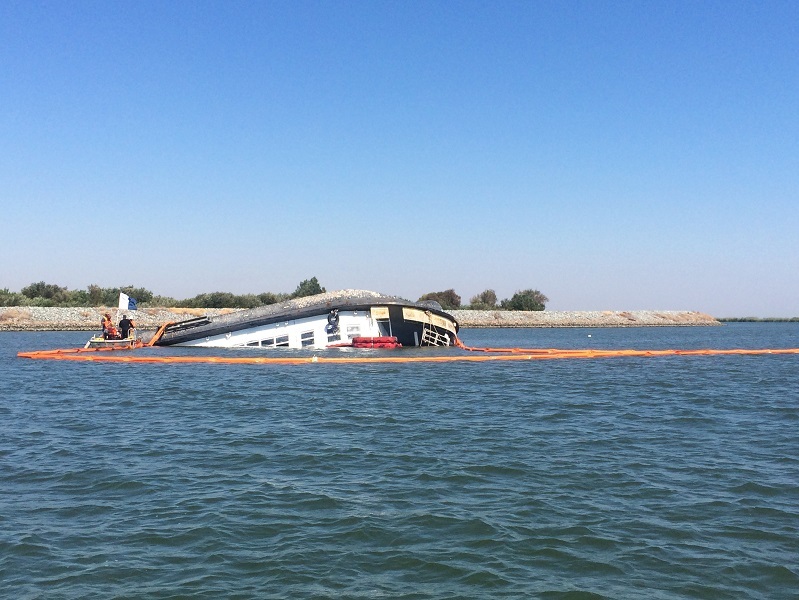 When the Spirit of Sacramento sank, the Global crew was called in to salvage the vessel. The project proved that the most difficult projects are often the most rewarding, and there are few situations that teamwork and ingenuity can’t overcome. The Spirit of Sacramento, a sternwheeler, was previously known for carrying tourists along the Sacramento River to and from the California Delta. But in August 2016, with just two crewmembers aboard, the vessel encountered a serious problem. Water started pouring into the engine room, eventually causing downflooding and capsizing the vessel. The crew escaped unharmed, but the vessel sank to the sea floor with a reported 600 gallons of diesel fuel onboard. With the potential for serious environmental damage, Global was called to the scene and immediately started to evaluate the site. The Spirit of Sacramento had shifted but still needed to be rolled onto its keel. On top of that, there was another problem. Since the vessel was only meant to travel on service or protected waters, the boat was very lightly built. “We had to be delicate with how we rigged the vessel to ensure it would stay intact while lifting it with a crane,” Watson said. The team decided to reinforce the hull to keep it from collapsing when they picked it up, which called for some crafty engineering. Field crews fabricated the pieces they needed on-site to help move the salvage along quickly. “The particular fabrication we had to do on this project was unique just because the design of the boat,” Watson said. 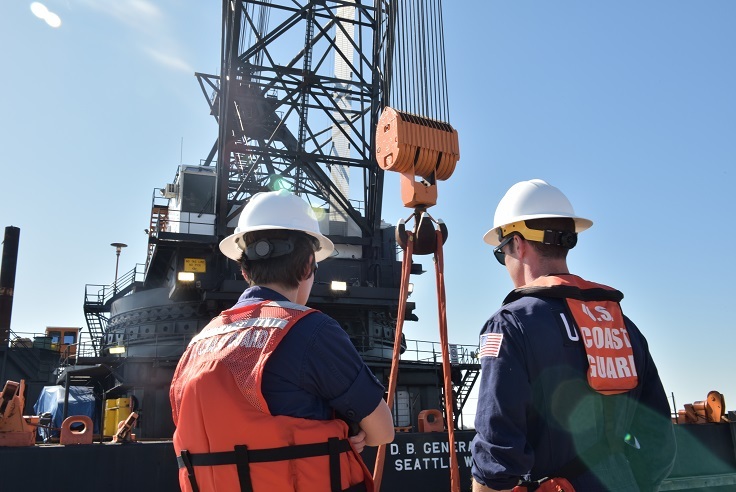 Several smaller facilities in the region turned the Spirit of Sacramento down, so Global’s only option was to obtain a dead ship tow permit from the Coast Guard. That allowed crews to take the vessel 56 miles to an Army Corps of Engineers dock in Sausalito. But, that tow came with yet another issue. 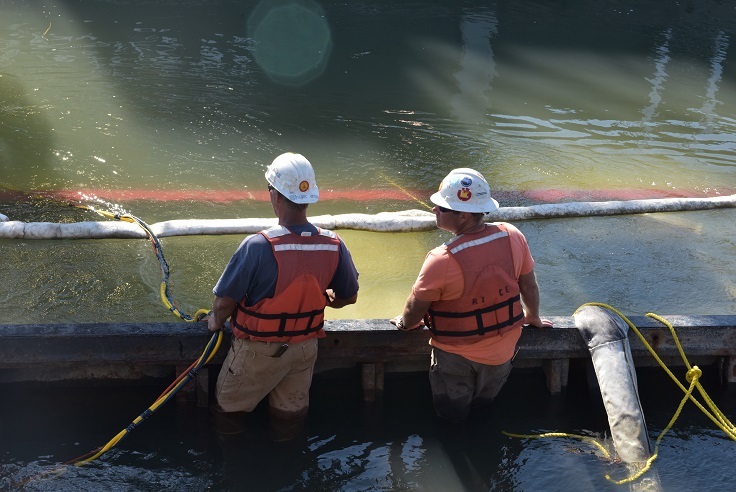 Global removed the saltwater from the Spirit of Sacramento with trash pumps after it was raised. But since the boat was sitting on the sea floor, sediment had also collected inside the vessel. In addition, the water had soaked into the boat’s shag carpet, mattresses, and other porous materials. The boat originally had 18 inches of free board, but with all the added weight, Global was now working with just 3 to 4 inches above water. “Those are pretty narrow margins to work with from a stability standpoint,” Watson said.